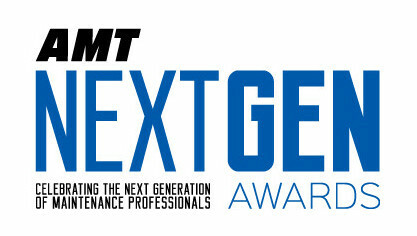 November 21st, 2017 — Congratulations to this year’s winners of the AMT Next Gen 40 Under 40 Awards. And also to those who recognized your achievements by nominating you. The attributes that make up this year’s winners all have a passion for aviation, whether it’s maintenance, education, executive management, general aviation, business aviation, rotorcraft, military, MRO, or airline, they all love what they do and want to keep improving themselves and the industry. Thank you for the solid future you provide. And if you started as a child who wanted to know more about aircraft or wanted a better future for yourself by committing to the aviation later in life, we’re glad you’re a part of the Next Generation of aircraft maintenance professionals. There is no one path to success in aviation. Sometimes you grow in one company, other times it requires moving around to take advantage of what the industry offers or which direction your interest takes you. Take a look at this year’s winners to see the different paths that are available. And as always, share your story to encourage others to follow. Aircraft Maintenance Technology is proud to recognize Mark Steinbeck as one of this year’s winners. Steinbeck worked at Avtrak from 2002 until the company was sold to CAMP Systems in 2012. During that time, he spent several years in the customer support and training departments before transitioning into sales. By the end of his time at Avtrak, he was leading the North American sales team. After that, he joined Mayo Aviation, a Part-135 operator in Denver, as director of sales. Then, in 2014, he joined TRAXXALL and returned to the maintenance tracking business. Initially, he ran sales in the Western U.S., and then was promoted to president, in charge of sales and customer support. Since then, TRAXXALL has grown from nine to more than 50 employees. In 2016, Steinbeck was named one of Wings magazine’s “Top 20 Under 40”. This year, he was named to the National Business Aviation Association (NBAA) Maintenance Committee. He is a member of NBAA, Westchester Aircraft Maintenance Association, Professional Aviation Maintenance Association, and Colorado Aviation Business Association. Ultimately, I want TRAXXALL to continue to be an innovator and a developer of solutions that flight departments can count on to boost efficiency and make their lives a little easier.